For having a travel of over 5′ x 8′, it still handles the fine details with quite a bit of repeatable accuracy. 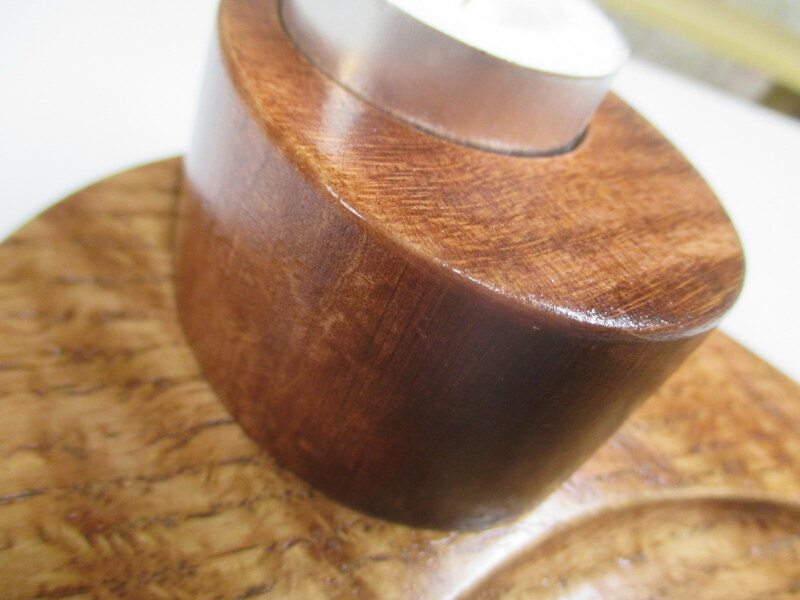 I helped to make a candle holder out of a piece of curly oak. It turned out to be very pretty. In the following picture, you can see 4 toolpaths. 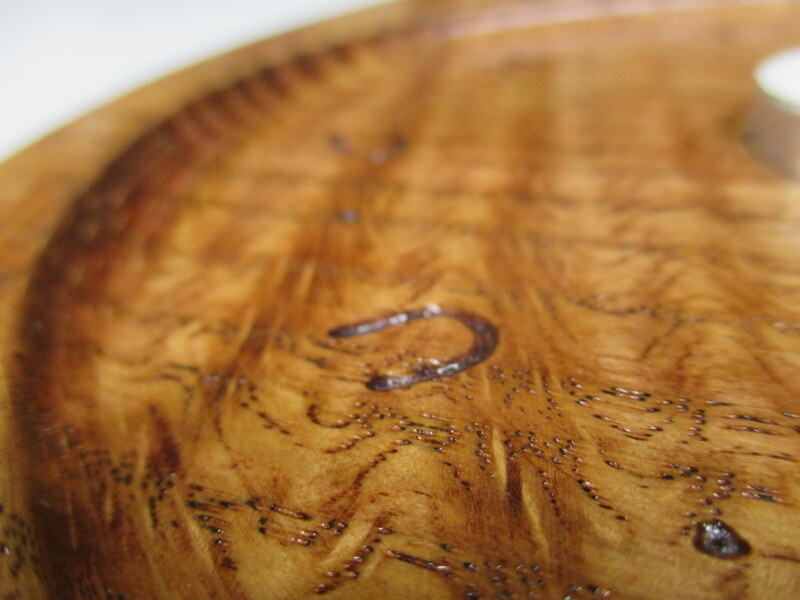 The large circular pocket (0.25″ deep), the small inner pocket, the radius around the edge of the circle, and the engraving. 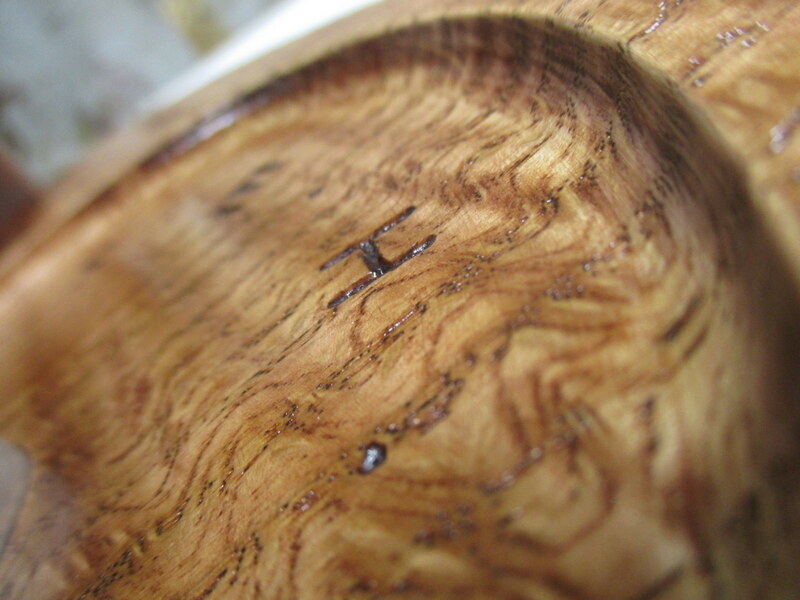 The rest of the project was completed using a bandsaw and conventional tools. 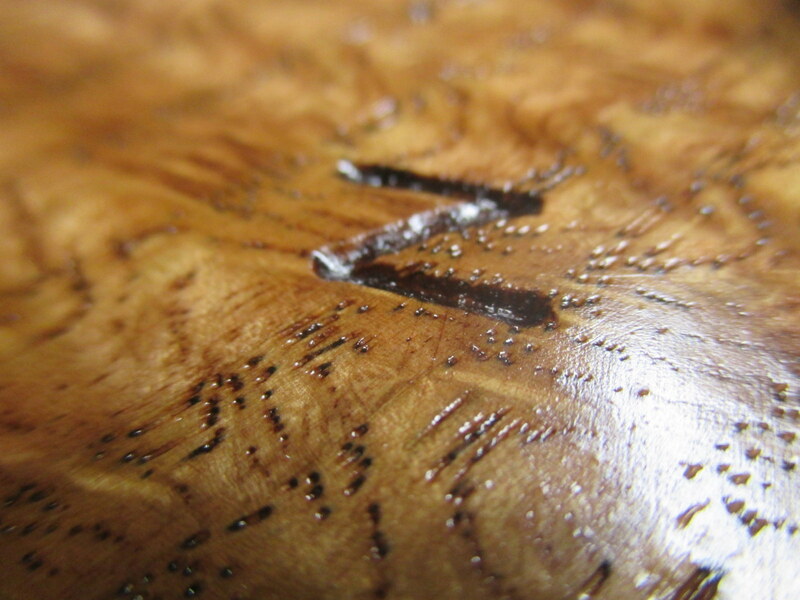 CNC brings a lot to the table (pun intended), but it is more amazing what a craftsman can do by hand. Did you know that Okuma, who is a manufacturer of state of the art CNC machines, hand scrapes all the seven components of a machine foundation? Unfortunately, there is still no technology available to achieve the geometric precision that hand scraping does. Components need to be aligned within a millionth of an inch. And it’s where that kind of precision is needed that makes it even more critical: your machine’s foundation. The seven components of a machine’s foundation simply must be hand scraped to create ideal flatness, to develop proper oil pockets, and to achieve those tight tolerances. 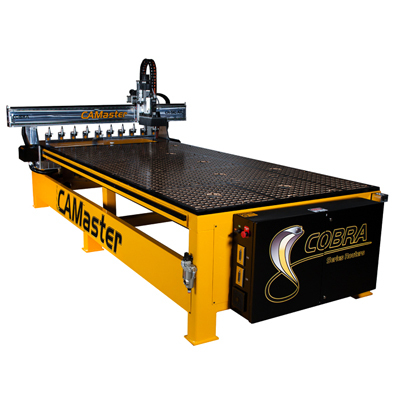 In the world of CNC routers, we talk in “thousandths of an inch”. But in the above, they are talking in “millionths of an inch” and “by hand” in the same paragraph. That is simply amazing to me. Here are some pictures of the finished product. The sum of some of the efforts of man, machine, and nature. 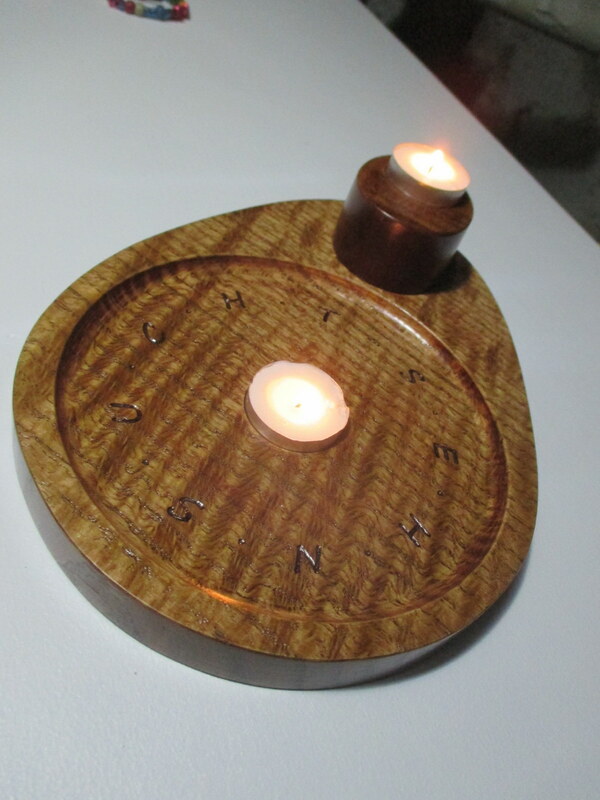 This entry was posted in CNC, Interesting, Photography, Projects and tagged CAMaster, camaster cobra, candle holder, CNC, CNC Router, curly oak, engraving, hand scraping, Oak, okuma. Bookmark the permalink.